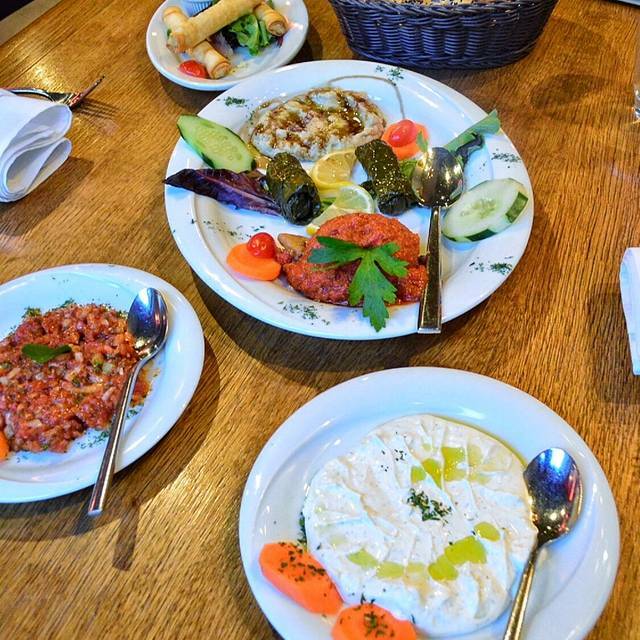 Ankara is an upscale-casual Turkish & Mediterranean restaurant conveniently located in Dupont Circle close to Metro, shopping and nightlife. 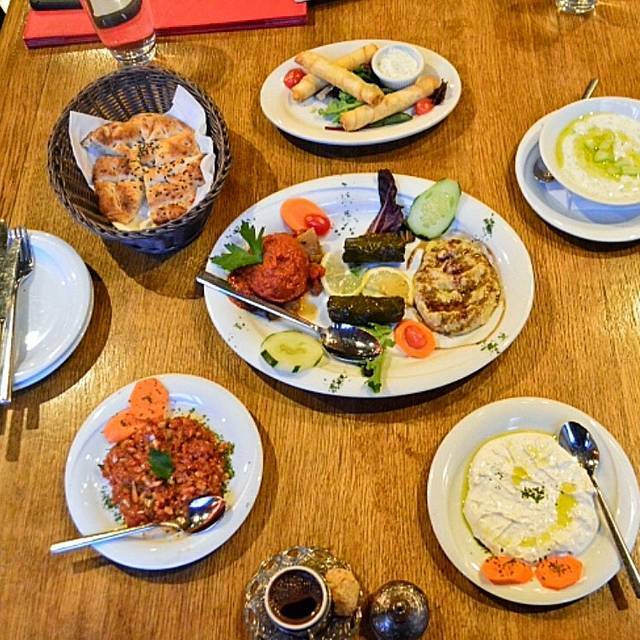 A selection of hot and cold meze dishes, fresh pide from our wood burning stove, and tempting array of entrees are served up in a beautiful setting mixing the best of old and new world style. In addition to the spacious interior dining room and bar, Ankara features a large outdoor dining patio where guests can enjoy our full menu. Lunch offered Monday through Friday. Bottomless Brunch(including all drinks) on weekends for $37.90 per person. 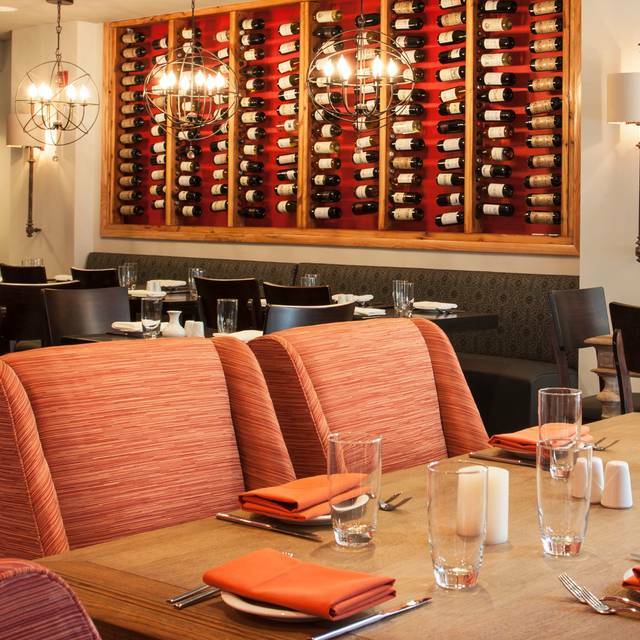 Mondays, we also offer half-priced bottles of wine. COMPLIMENTARY BEER OR WINE FOR ENTIRE TABLE! Come join us for special dining experience with free one glass of drinks to entire table. -Drinks are: Draft tap beers, house wines and fountain drinks. -This offer excludes happy hours and brunch tables. -Cannot be combined with any other campaigns or offers. -Each guest must order at least one entree, grill, flatbread. Come and join us at Easter weekend for special bottomless Mediterranean Brunch at Ankara Restaurant. Over 60 items and all brunch drinks are unlimited! Let’s make it real for just $37,99! Great food with varied and authentic cuisine. And, super nice service. Nice cozy atmosphere in Dupont Circle. 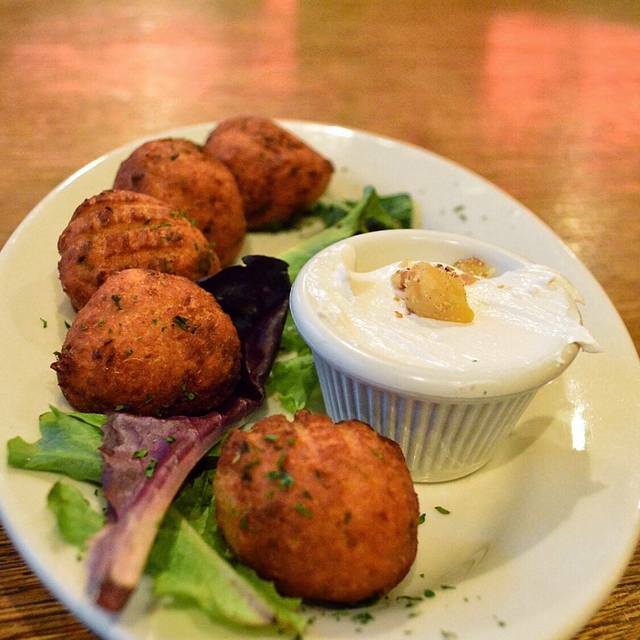 Wide variety of cold and hot appetizers and main courses. we had grape leaves stuffed with minced beef and lamb, walnuts and pine nuts, lamb chops, and adana kebabs. Waiter was extremely attentive. Got a complimentary Turkish coffee at the end. Everything was delicious. Highly recommend the bottomless brunch. This will become my go-to casual work dinner spot. We were able to make a large reservation on just two days notice. When we arrived (5:30pm) the place was not very busy (things picked up after 7pm) and we were able to have conversations across the table of 8 with no difficulties. The waitstaff were attentive but not hovering and helped us navigate the menu. We enjoyed a variety of shared plates and it was easy to accommodate the gluten-free and vegan members of our party. We did not feel rushed and went through two rounds of ordering small plates because everything was so delicious! Overall it was a relaxed and comfortable environment! Everyone left happily full. And as a bonus there were some really great mocktails that were prominently featured on the menu so those of us not drinking didn't feel left out of the fun! Wonderful food, breads in particular were delicious. Service was friendly and engaging but could have been a bit more attentive. Really incredible food! We came here for my birthday and the service was great too. Excited to go back. My husband and I have been going to Ankara for several years and we are never disappointed. The menu is varied and authentic. They also have some of the less common Turkish dishes (like Iskender Kebab) which sets Ankara apart from other restaurants. We enjoyed a fantastic Sunday brunch at Ankara. The atmosphere was great, service was outstanding and we all had a fun time working through the menu of bottomless food and drinks. It was really an exceptional brunch experience. The only improvement would be to include more proteins on the brunch menu. Will definitely come back! Great value for brunch. Food was good and service was great. It’s a little loud in the main dining area but adds to the overall atmosphere. My GF and I will definitely be back. First time, very good experience, food was good, server was fantastic. Noise level was up there but manageable. Was able to taste many things with brunch menu. Wish restaurant provided discount parking though. Always attentive service. Red lentil soup a favorite. Pistachio cake very smooth and elegant. Excellent. Very happy we chose to dine at this nice restaurant. Would absolutely eat there again. Thanks for help make a nice evening out for our family. I used to go to Ankara all the time until last summer till i had a couple of bad experiences. A friend of mine wanted to go to Ankara for his birthday last week and I am glad we tried it again. Everything was great. Our server Bora was excellent. Food was good. Overall great experience. Will be back. Thank you. Loved the “All Inclusive” option. Food and drinks came out quick. We had a great time at Ankara because in addition to delicious foods, the service was great. Our server was super friendly and helpful. We had two birthdays in our party of 4 and they brought big pieces of chocolate and cheesecake for each gratis and turkish coffee as well. 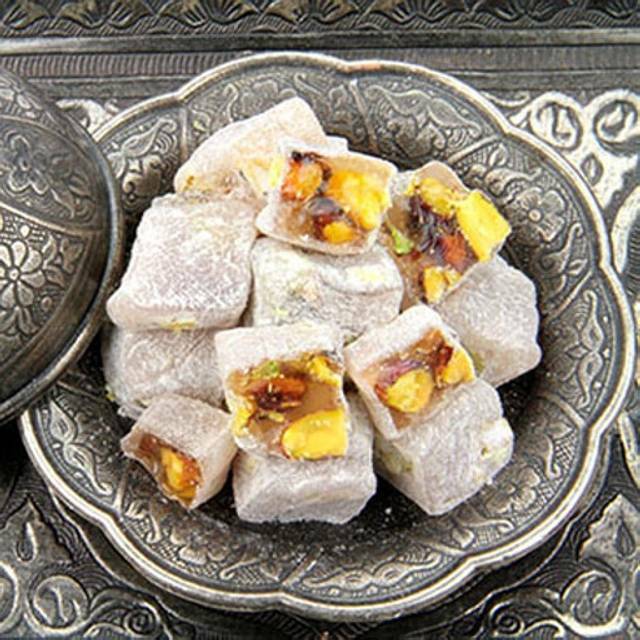 Everyone thought the food was delicious, though if you are from Turkey like I am and have tasted these dishes many times before, it will not be the best you have ever had. Still, it was a great experience and we will be back for brunch! Group of 10 celebrating an engagement. The waiter was fantastic and food was delicious. Relaxing atmosphere and a great time was had by all. Watermelon salad was very good. The other three items we ordered had strange texture and not appropriate temperature. Service was below average. Overpriced for the menu offerings. My sister and I absolutely love this place. From the time we walk in, we're greeted warmly which makes you feel welcomed. From the manager to all the servers who works collectively to make sure you get the best service possible. It's a lively and friendly atmosphere. We will definitely be back..
Definitely will come back for brunch! Such great service and really loving all the food selection. Really a fantastic evening. The food was delicious and the service was amazing. We stayed there for hours eating and drinking. I would definitely go back any time. It was apparent that the servers and bartenders had a lot of pride working there. Food was amazing and the service was great. Excellent food and service. Food came slowly- maybe there was some problem in the kitchen? After dining again, very impressed with the service and cuisine. A must dine in DC. Very vibrant and energetic. Great place for a group. Ordering a bunch of mezes and some wine worked out great. The food was super tasty. Service was amazing!! Ali was the best. We love Mediterranean cuisine and we came for our anniversary dinner. Our waiter was charming. The ezme and beef and lamb pie were very good. The cold mushroom salad used canned mushrooms. Skip that one. The fried calamari rings were crispy and tasty but I misssd the tentacles. They may have also been pre-made and fried. I would have liked haloumi cheese on our pide in lieu of mozzarella. The sausage was very much like pepperoni. Overall we had a very nice evening. Great menu that included dairy free, gluten free, and nut free options to make choosing easy. Service was constant and friendly no matter who approached table. Dessert was great. The Ankara experience was worth the money. We were impressed with the grill combo, whatever that is called. Very good and tasty meat. We enjoyed the spinach side and Mediterranean beer. Decent price. Very easily accessible from the Metro. Great date night out! Just had drinks after work, so can't really speak to the food, but the drinks were great, the service was over the top, and the ambiance was perfect! This place is amazing. It really gives its competition a run for their money! There were 16 of us and our server was AWESOME! She was very attentive, kind, and patient as we all ordered and what not. Her name was Asli. I will be returning and asking to sit in her section! We were running about 10 min late. I called to let them know. When we arrived our table wasn’t ready. Not off to the best start, they got a table ready for us. It was pretty tight, but our server went above and beyond to find us a table that had plenty of room and we weren’t cramped. The service was great! Everyone was friendly and helpful. The food was great and the ambiance was decent. We will definitely be back to eat everything we ordered, and try new things! The baked hummus was delicious! We arrived with a fire alarm going off and almost left but we are glad we stayed. The food was delicious. We had the six Meza appetizer and I had the flat bread with ground beef. Turkish coffee and baklava for dessert. We will be back. The mixed grill is an excellent value for two people! Went here for my daughter’s 21st birthday celebration. We had a party of 9. My daughter was greeted with a rose upon entering the restaurant. We did the bottomless brunch. It was great! Food and drinks were coming to the table like crazy. Really good time. Ali, our waiter, was awesome! Great food and great service. Would definitely come back. Hidden gem. Really enjoyed. Great food, service and place. I’ll be back.